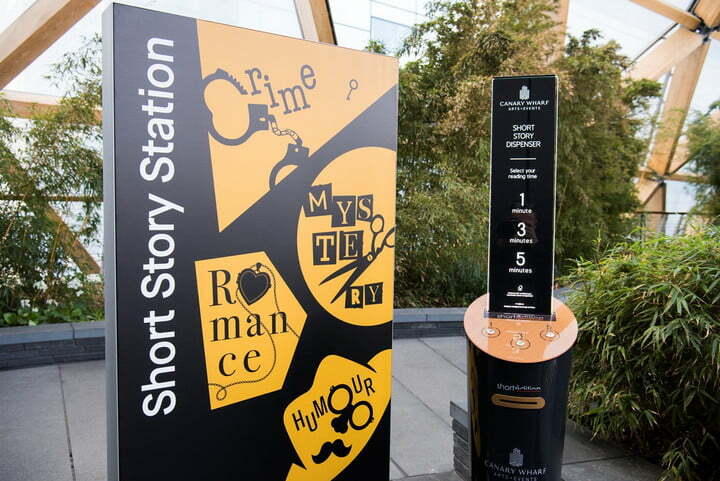 Three dispensers which print free short stories will be installed around London's Canary Wharf this week, the company that runs the financial district said on Wednesday. Les usagers du métro londonien découvrent des “ovnis” dans les travées de la station Canary Wharf sur la Jubilee Line. Copyright Olivier A.
Depuis jeudi 4 avril, les usagers du métro londonien découvrent des “ovnis” dans les travées de la station Canary Wharf sur la Jubilee Line. En effet, trois bornes y ont été installées pour rendre plus agréable la vie des utilisateurs de l’Underground. 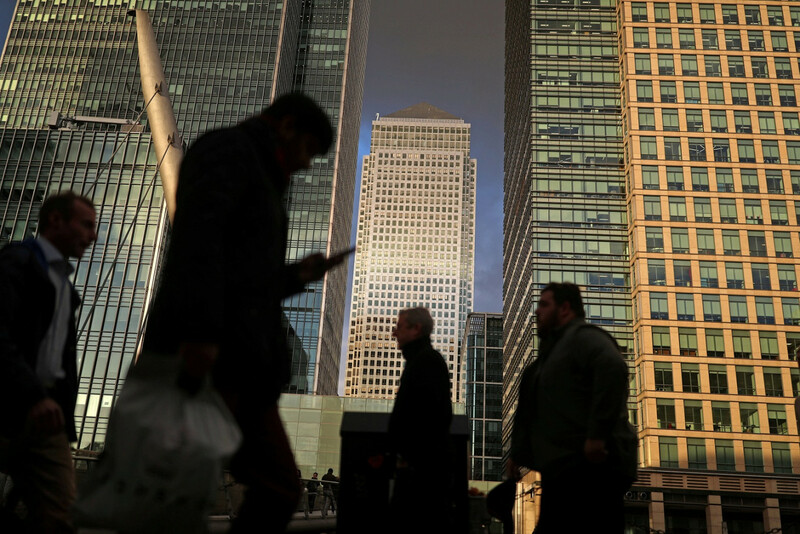 LONDON, April 3 (Reuters) - Three dispensers which print free short stories will be installed around London's Canary Wharf this week, the company that runs the financial district said on Wednesday. Starting with "Mr Robinson," a specially commissioned story by British author Anthony Horowitz designed to be read in less than a minute, thousands of tales will be available at the touch of a button, printed onto eco-friendly papyrus paper at no cost. For sure, smartphones help millions of people to while away the daily commute, whether with music, social media, news apps, or podcasts. 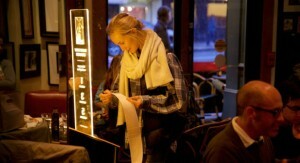 But from this week, workers in London have another way of passing the time — with short stories grabbed from a vending machine. London is this week jumping aboard the bandwagon of an international literary trend: the very, very short story. Can fiction miniatures dispensed through slots lure commuters away from their smartphone apps and social media feeds into the imaginary worlds created by authors including Virginia Woolf and Anthony Horowitz? We are about to find out. In order to help people pass the time while waiting in line at the Motor Vehicle Administration office in Beltsville, the Prince George's Memorial Library system has installed a short story dispenser. Though "Short Edition" is currently a pilot, the county is considering installing more dispensers if it is successful. 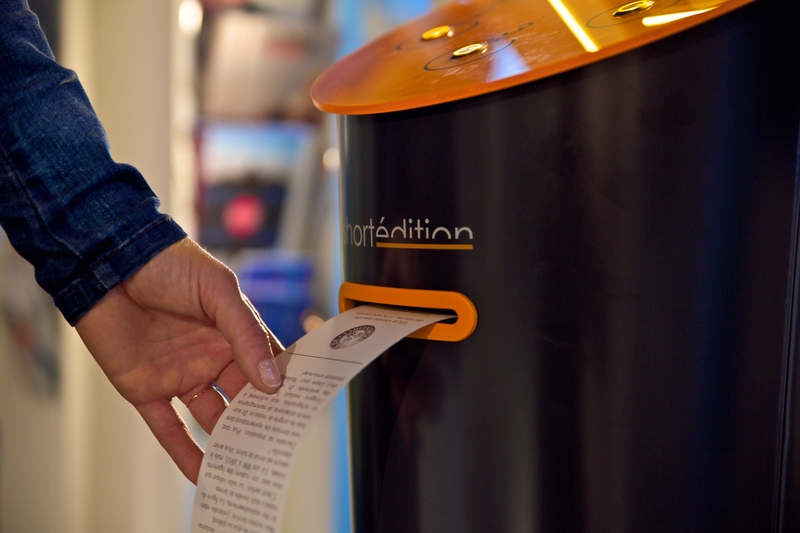 Short Édition story machines will soon appear at Canary Wharf. Weary city workers will have a new way of passing the time on their commute once the UK’s first short-story vending machines are installed at Canary Wharf this week. 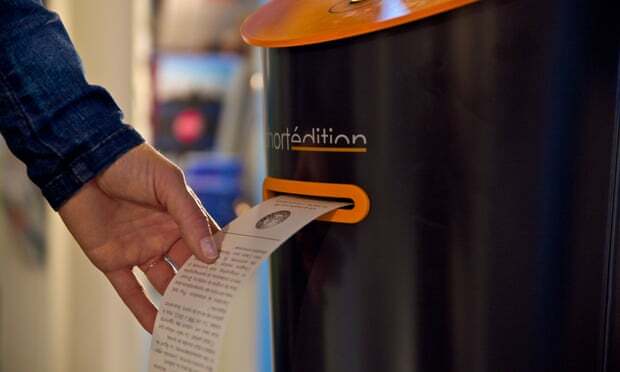 Dispensing one, three and five-minute stories free to passersby at the touch of a button, the vending machines are made by French company Short Édition. 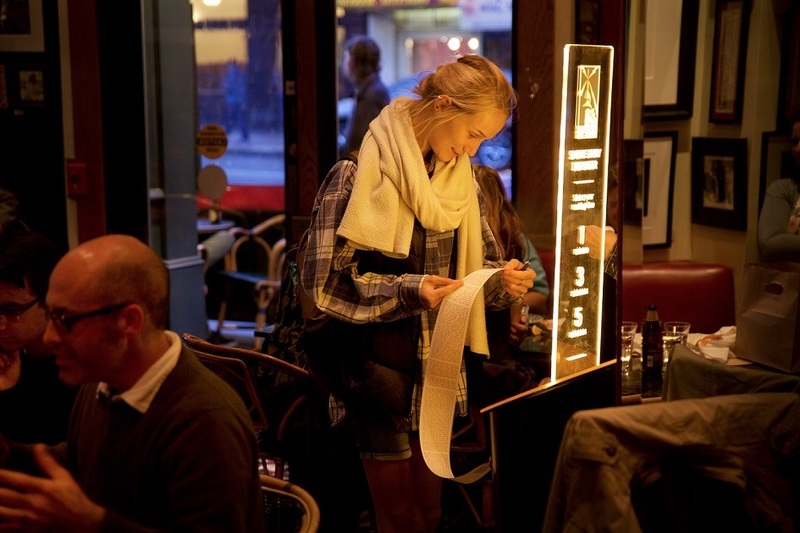 They already feature in locations across France, in Hong Kong and the US, where Godfather director Francis Ford Coppola was such a fan he invested in the company and had a dispenser installed at his San Francisco restaurant, Cafe Zoetrope. “As a library, we want to help students engage in creative activities, pleasure reading and personal enrichment,” said librarian Liz Bellamy. “And the fact that we went through an entire roll of paper the very first day shows that students really want that too,” said Liz Bellamy. UNIVERSITY PARK, Pa. — As Penn State University Libraries launches into its third University-wide Libraries Short Stories writing contest, previous Penn State authors’ winning works now have twice the potential to be printed and read across Pennsylvania. 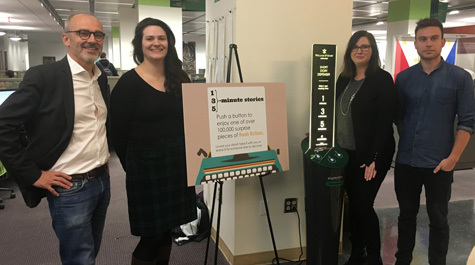 The installation this semester of new Short Edition story dispensers at five of its Commonwealth Campus libraries has doubled the University Libraries’ commitment to inspire University-wide creativity and engagement with the literary arts. On March 1, William & Mary Libraries unveiled its newest addition to Swem Library: a short story dispenser that prints out pieces of flash fiction on demand. The dispenser, produced by French company Short Edition, is the first and currently only of its kind in Virginia. ALL PRESS ARTICLES What is it about ?